I love welcoming new riders into the fold. 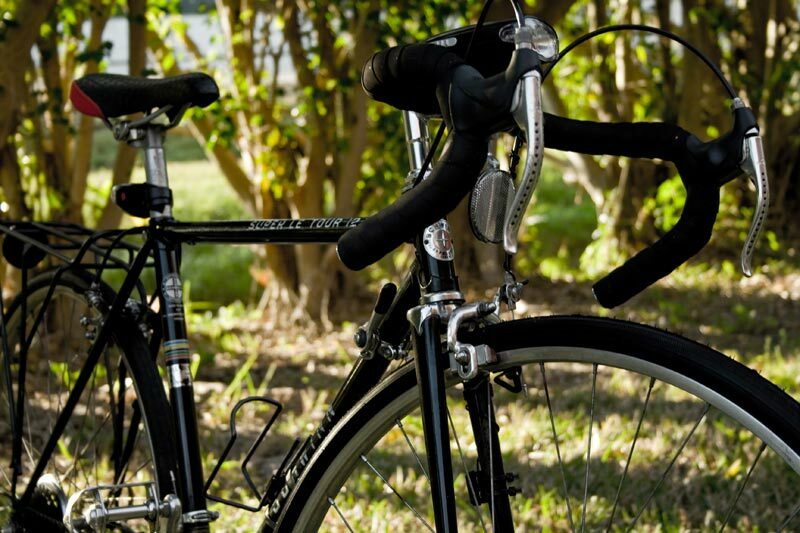 Regardless of their clique, motivations, and inspiration—any bike rider is ok with me. So long as they do their best to represent us all well in their actions—but that’s big boring topic I’d rather not get into here. With that, I’m pleased to a have a new OTS rider and afficianado send in their ten speed stead. To top it all off, it’s an OTSG first. 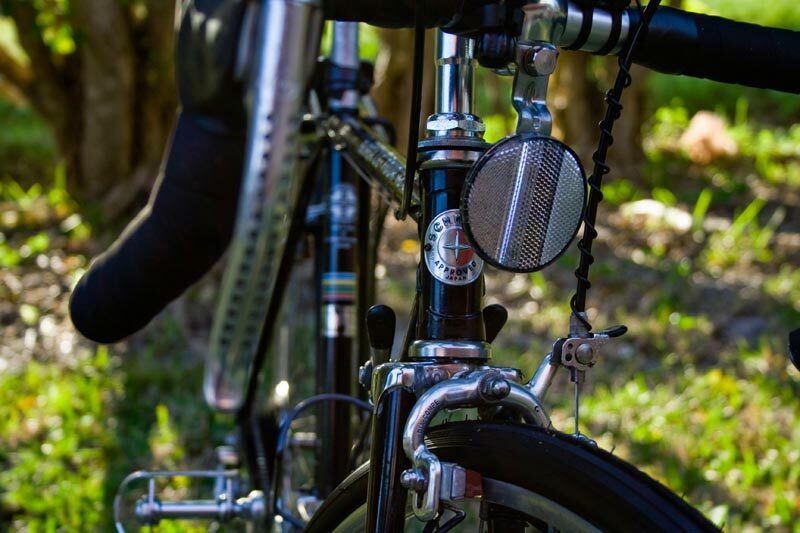 Welcome Alex Q. and his 1977 Schwinn Super Le Tour 12.2. How many variations of the Le Tour did they produce anyway? Got into riding old 10 speeds a few months ago. Found this bike for sale. Took it all apart. Cleaned it up, repacked bearings, replaced tires, grip tape, Brake and shift cables and housing and Seat. I’m guessing this is an ’87, not a ’77. Love the black paint, a super sharp bike for sure! Actually Bob, I didn’t really pay attention when posting your Le Tour, but after looking at it again I’m pretty sure yours is about a 75 not an 85. 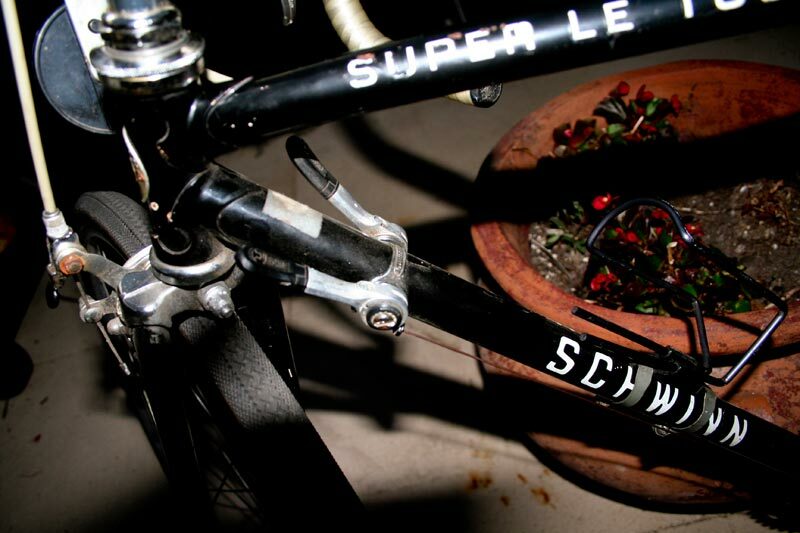 The Schwinn logo on both yours and Alex’s is a Mid ’70 design. By 85 Schwinn had that logo style like on Joe B.’s Yellow Caliente. Hmmm. Y’know, I think you’re right about that. I know I had the bike by the summer I graduated high school, 1978. Believe it or not I still have the original manual and bill of sale on the Le Tour. I’ll have to double check. I suppose I could research the serial number, too. From what I found, Alex’s is a 78 model although the factory specs were almost completely identical between the 77 and 78. 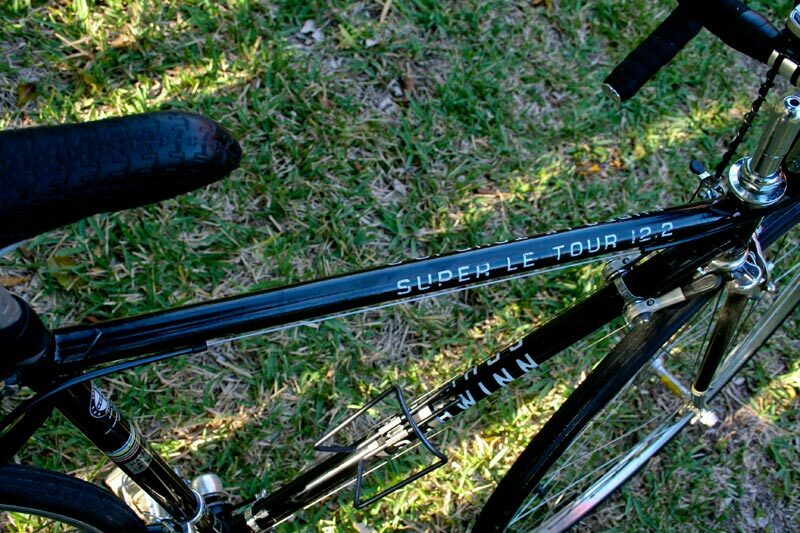 They did not offer the Super le Tour 12.2 frame in black in 1977, just scarlet, sky blue, silver mist, and full chrome ($50.00 extra for full chrome, which was a pretty hefty upcharge back then). In 1978 they offered it in black. So it was sold as a 1978 model, but it was most likely built in 77 for the coming year. 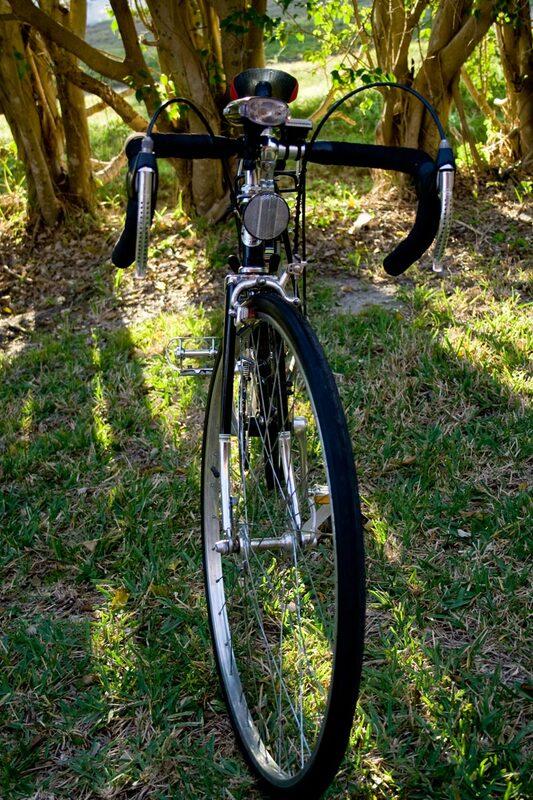 I’ve got those Dia Compe G 500 brakes on one of my rides and they work really well. The quick release has come in handy. Thanks! Im pretty proud of my bike there.I wondered about the year. I did research and my stamp on the head badge is “3397” which means it would’ve been built in December of 1977. I wondered why i didn’t find the black in the ’77 catalogs! Cause it was sold as a ’78…NICE!!! Thanks! One site I found said that the method only applies to Chicago schwinns from the years 1965-1982 or KA-KT which would be October of both years as you described. (e.g. F8 = June 1988) system which Chicago abandoned in 1965, when it changed to the two-letter system. 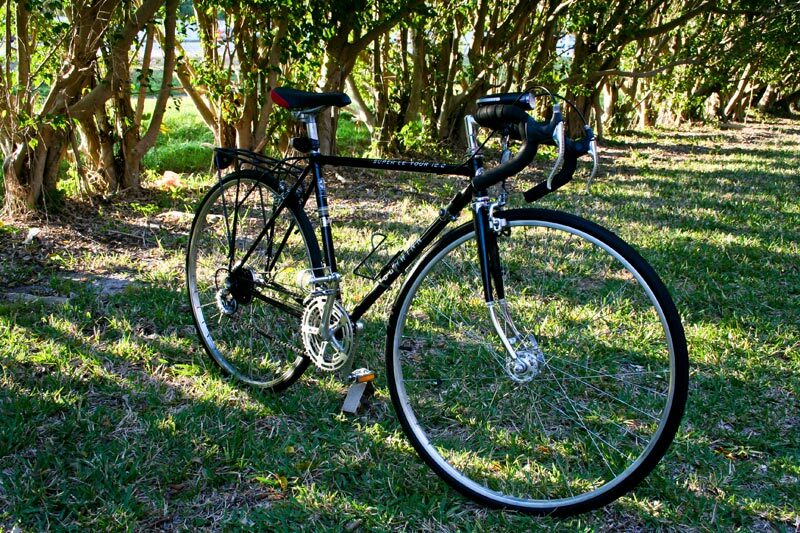 I have an 82 Traveler that was made in Taiwan, which I believe was one of the first years that Schwinn frames were made overseas by Giant Bicycles. The bike’s serial number is stamped on the rear drive side dropout and it ends in 82, which may be the year or it might be a coincidence. I couldn’t find any info on the taiwanese serial numbers. But I do know the bike is in fact an 82 model. 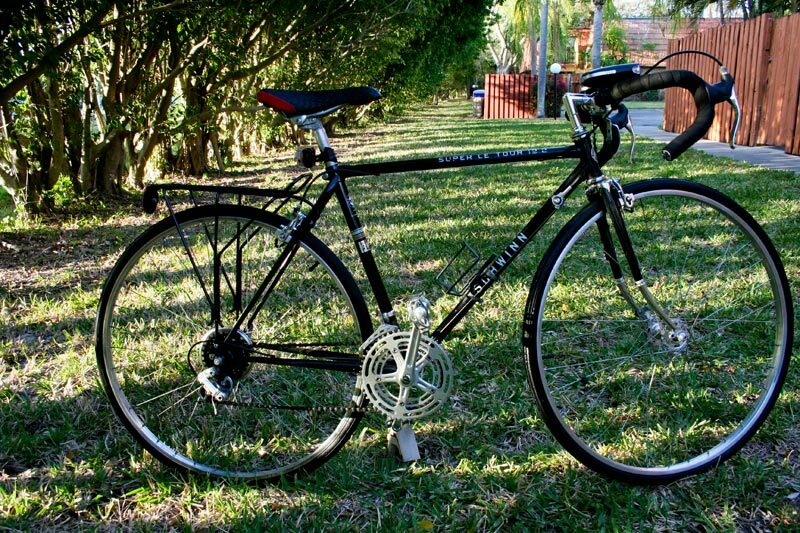 Hey guys, I just picked up a black 58cm Le Tour 12.2 for $50 the other day. I have two questions. 1. How do I tell what year it’s from? 2. What did you use to touch up the black paint/deal with rust? 2. For rust i used steel wool with water or degreaser and for the touch up paint i just bought black car touch up paint at walmart. I used turtle wax and buffed it! 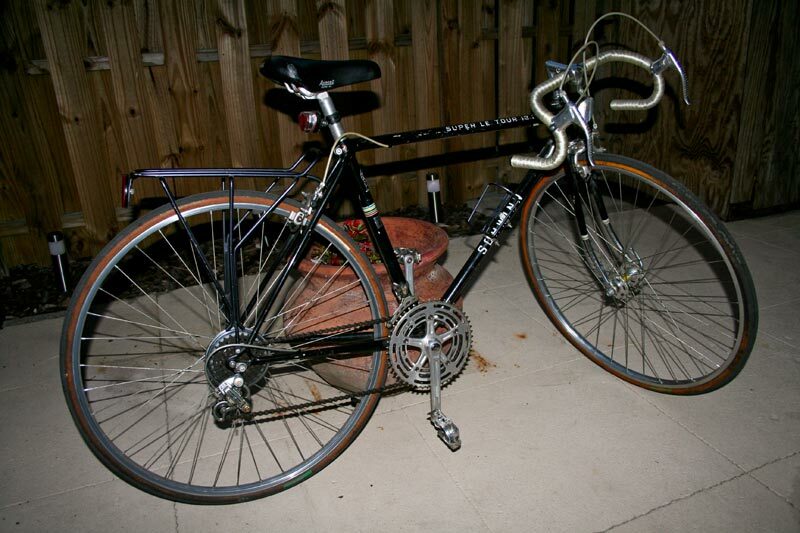 I have a white 1981 Schwinn Super Le Tour 12 speed that needs a new seat, new tires, and some attention paid to the handle bars. What seat should I buy to keep it vintage? Where can I find the right seat? 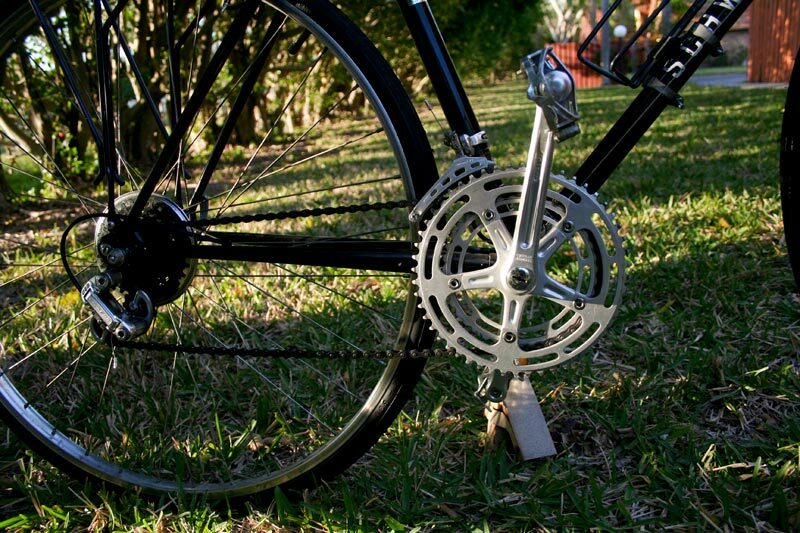 i have a Schwinn Le Tour 12 speed with the serial # J807534, what year model is it? Its in mint condition and rides like a dream. Interested in selling it. Anyone interested? I just got a 1985 red super le tour (in good condition) and want to get it cleaned up. I’m not comfortable doing it all myself (don’t want to mess with the components). what would be my best option without breaking the bank? Thanks! I can offer the history on Alex’s bike. Bought in Coeur d’alene, Idaho…approximately late 1978 or early 1979. Would gladly buy it back.